It's heavy and oversized, but 6D is all about impact protection with their unique ATB-1T Evo helmet. The 6D ATB-1T Evo is unique in both design and appearance. 6D designed the helmet with their own patented Omni-Directional Suspension (ODS) system, which they claim provides better protection during both linear and oblique impacts than competitive technologies. This system stacks two helmets, one inside of the other, which are separated by a system of suspension dampers. This unique safety technology is largely responsible for the unique look of the helmet, as it is bulky and visibly larger than the competition. It also holds the distinction of being the heaviest in the test. Its fit adjustments are good, and it is relatively comfortable, though its ventilation can't compare to the competition. If you believe the marketing hype and manufacturers claims, then this may be the safest helmet on the market, assuming you don't mind the weight or unique look. You may have never of heard of the small helmet manufacturer 6D before, but they make a line of helmets for street and dirt biking as well as downhill and trail mountain biking. They've hung their hat on their patented Omni-Directional Suspension (ODS) technology, which they claim is a fully active, in-helmet suspension and kinetic energy management system. Most modern mountain bike helmets come with some sort of rotational impact protection system, but 6D claims that ODS is different and better than the competition. Protection and comfort are the main things that this helmet has going for it, as it loses ground the competition in most of our other scoring metrics. Read on to see how the ATB-1T Evo compares to the competition. When testing the ATB-1T Evo in some cool spring conditions we were comfortable with its airflow levels. Protection is the ATB-1T Evo's strong suit, and it is one of our highest rated models in this metric. 6D exclusively makes helmets and they appear to take it very seriously. They are one of several manufacturers to design their own impact protection technology and theirs is called Omni-Directional Suspension (ODS), more on that below. In addition to the ODS technology, the ATB-1T has ample head coverage, and the outer shell comes down nice and low on both the temporal and occipital lobes. The dampers are the "heart and soul" of the ODS system, here you can see them between the two shells of the helmet. The ODS technology is quite unique, and it involves dual EPS liners, an inner and an outer, that are connected and suspended between each other with a number of Elastomeric Isolation Dampers. Basically, the inner shell can move within the outer shell and 6D claims that the dampers are the heart and soul of the ODS technology. The dampers have the ability to compress in all directions and also to shear, which means that they can absorb shock from both linear and oblique impacts. 6D also claims that the dampers' hourglass shape gives them a progressive spring rate so that they work at a range of impact speeds. Here you can see the added width and overall bulk of the helmet. It is much larger than any other model in this test. A side effect of the ODS design is that helmet is rather bulky. There are basically two thin helmets, one inside the other, with an elastomer system in between, and that makes the whole thing a little thicker than a more traditional helmet design. It seems likely that the added helmet thickness would be highly protective in a crash as there would be more material between your head and the ground. 6D also claims that a larger shell increases not just the distance between your skull and the ground, but also the amount of time it takes for your head to take an impact. It makes sense, increasing distance should also increase time. They also back up all their claims about protection and safety with data from an independent third party testing facility on their website. Again, the helmet is big, bigger helmet = more distance, more distance = more time to decelerate. There's no doubt that 6D takes your head protection very seriously, and it seems like their ODS system would be highly protective in a crash. 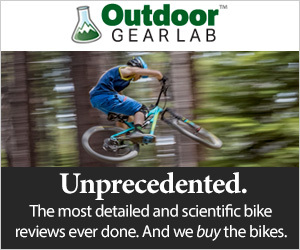 All of the helmets in this review feature some form of rotational impact protection system. Most of them use MIPS. There are many differences between MIPS and ODS, and the primary one is that MIPS just provides a slip-plane but can't absorb or cushion the forces of an impact. Poc's SPIN system and Leatt's Turbine 360 both claim to perform in a similar way to ODS, though they have integrated their proprietary technologies into their helmets in different ways. We aren't crash test dummies, so we can't tell you from experience which system works the best. We've just done research to help you decide for yourself. The padding on the inside of the ATB-1T Evo. Testers were pleasantly surprised by the overall comfort of the ATB-1T Evo. The bulk of this helmet makes it look like it might not be all that comfortable, but there was little not to like about the way it fits or feels on the head. It comes in three sizes, and it has plenty of adjustable range to dial in the fit to your liking. The length and width feel pretty standard, and it has a relatively deep fit. Inside the helmet, there is one main pad that stretches across the brow from temple to temple with fingers that extend up toward the top of the helmet between the vent holes. There is also a small pad that spans the width of the fit adjustment cradle at the back of the head. The strap splitter is relatively basic, but it's adjustable, and the helmet is so wide that the straps don't make ear contact. The fit adjustment system is like those found on most other helmets, with a dial that pulls tension evenly from both sides and provides ample adjustment to secure the helmet within each size range. The chin strap is secured with a magnetic Fidlock buckle, and the excess webbing attaches to the helmet under a soft protective wrap. The strap splitter is an adjustable locking V-shape, and you can position them so that they don't make unwanted ear contact. The comfort of the ATB-1T Evo is good and tied with a number of the other models in this test like the Giro Montaro MIPS and the Bell 4Forty MIPS. It couldn't quite match the POC Tectal or the Specialized Ambush in this metric, both of which feel light on the head and excellent straps and adjustments. One significant difference from a comfort standpoint is the noticeably heavyweight of the ATB-1T. It's significantly heavier than the other models in this test, and you can feel it. The ATB-1T Evo isn't bad in cooler temps, but the shell-in-shell design really limits airflow around the head compared to models with better ventilation. The ventilation of the ATB-1T Evo is a little underwhelming, especially when compared to the competition. The helmet has 15 vents that are present on both the outer and inner shells and line up perfectly to allow air to pass through both. The vents are relatively small in size, and there aren't any internal air channels on the inside of the helmet to promote additional airflow. Of course, this helmet's poor ventilation performance is likely a result of the ODS system and super protective design, so it's a trade-off. In contrast to the mediocre ventilation offered by the ATN-1T, the Specialized Ambush is one of our top performers in this metric with 20 vents and huge internal channels that really allow the air to flow. Even our Best Buy Award winner, the Bell 4Forty MIPS has significantly better airflow and ventilation. The Fidlock buckle is great and really makes buckle and unbuckling the helmet easy. We mention the majority of the ATB-1T's features in the protection and comfort sections above. These include the ODS technology, fit adjustment, straps, and magnetic Fidlock buckle on the chinstrap. This innovative feature makes buckling and unbuckling the helmet one handed a snap. Simply get the two sides close to each other, and they magnetically attach. Be careful if you set the helmet on the ground because the magnets can pick up small rocks and things. Testers were a little dismayed to discover that the visor is barely adjustable, not enough to accommodate a set of goggles when not in use. It does move up and down a little bit, but the range of the visor is quite limited. The visor is also easily removable by taking out the screws at their attachment points. It's a little underwhelming from a features standpoint, but assuming you don't need an adjustable visor, this helmet has everything else most riders will ever need. At 515 grams for the size M/L we tested, this is the heaviest helmet in the test. When we took the ATB-1T Evo out of the box one of the first things we noticed was how heavy it is. When we weighed it, our size M/L test model tipped the scales at 515 grams or 18.17 ounces. It is the heaviest model in the test, and you can feel it both in hand and when it's on your head. Again, this helmet's weight is a result of their ODS technology that includes two helmets in one. If you seek the type of head protection that the ATB-1T claims to deliver, then perhaps the weight penalty won't be an issue for you. If you are weight conscious at all, then you'll probably be better off looking elsewhere. The majority of the helmets in this review weigh in the neighborhood of 370-400 grams, well over 100 grams less than the ATB-1T. The outer shell has polycarbonate wrapping around all the EPS foam on its lower edges, the inner shell does not. Something about the ATB-1T looks a little cheap. Maybe its the color we tested, or the bulbous shape, but most of our testers thought it looked a little janky. Beyond the way it looks, nothing else seems cheap or low quality. It seems to be a durable product. The outer shell is made with an in-mold construction and a polycarbonate shell that wraps around the lower edge of the EPS foam. The inner shell is just EPS foam, and the lower edge of it is exposed and could be susceptible to damage, but the outer shell largely protects it. The visor does seem a bit flimsier than those found on some of our higher rated models, but the straps and fit adjustment system appear well attached and well made. The ATB-1T Evo is best suited to the mountain biker who is looking for a unique approach to helmet safety and doesn't mind wearing a larger and heavier helmet as a result. It is suitable for all types of riding, although gravity riders may want to check out 6D's ATB-1 full face model. The ATB-1T Evo is a good all-around trail helmet that riders seeking a unique approach to safety will appreciate the most. The ATB-1T Evo doesn't come cheap, and at a retail price of $210, it ranks up there with the more expensive options in this review. Whether or not this qualifies as a good value, and whether or not you believe this helmet is as protective as their claims suggest, is up to you. You can't put a price on your safety after all. If you're after the most impressive value in this test, then we suggest giving the Bell 4Forty a look. The ATB-1T Evo is an interesting helmet with an emphasis on protection and a unique design with their ODS technology. The helmet features two shells connected with rubber elastomers, which are intended to protect the head from both linear and oblique impacts. The ODS system also involves a larger overall helmet that gives it somewhat polarizing looks and makes it the heaviest in our test by a fair margin. It is quite comfortable, although it's far from well-ventilated. If you can get past the size, weight, and poor ventilation of the ATB-1T Evo it may just be one of the safest helmets that money can buy. The ATB-1T Evo is a highly protective helmet, although its heavy, big, and not especially well ventilated as a result of their ODS technology. The ATB-1T Evo is offered in three sizes, XS/S (53-56cm), M/L (55-59cm), and XL-XXL (59-62cm). It is available in 8 color options including the metallic silver color we tested.